The products intended for use in automotive (additional modules for petrol or turbodiesel and systems for processing electronic motor) can be used exclusively for racing (sport) in closed circuits, private circuits or private areas. Our company accepts no responsibility for different uses. In order for you to create an account on Italianspeed.eu and purchase our Products, we need to collect and process certain informations. Information regarding the way in which users visit and interact with our site, in the form of traffic analysis. For this purpose, we use Google Analytics as a third-party service and Google acts as the Data Processor of the navigation data of Italianspeed.eu. Google Analytics collects and processes the data in accordance with what is reported on this page. For this purpose, Google Analytics collects data only in an anonymous and aggregate form, in order to improve the user experience and site functionality. However, you can choose not to be included in Google Analytics by going to this page. To analyze the use of our website through anonimous and aggregated data so that we can improve performing of Italianspeed.eu and provide users with the best experience possible. Legal compliance: sometimes the law says we need to collect and use your data. For example, tax laws require us to retain records of pledges and payments made through our Services. We may also send you promotional communications on our Services, without prejudice to the right to check if we do so. We analyze how users interact with Italianspeed.eu so that we can understand which elements of the design work best and which, on the contrary, do not. This allows us to increase and develop the quality of the online experience we offer to all our users. All Required informations are used solely to fulfill the contract we have with you (to execute your orders and shipments of your orders), to assist you with your purchases and information regarding your orders and our products. We reserve the right to disclose personal information when we believe that this is reasonably necessary to comply with law or law enforcement, to prevent fraud or abuse, or to protect the legal, property or security of our Company, Italianspeed.eu, its employees, users or others. 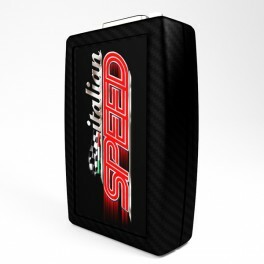 We will retain and use your information as long as your account on Italianspeed.eu is active as necessary to provide you with Italianspeed.eu services, to the extent necessary to comply with our legal obligations, resolve disputes, enforce our agreements and protect legal rights of our Company and for the purposes indicated in this Policy. In addition, we collect and manage aggregate, anonymous or pseudonymised information on the navigation and use of Italianspeed.eu (not uniquely attributable to individual users) that we may keep indefinitely to protect the security of our site and improve our services. Except in cases where an exception or exemption applies, these rights include the ability to access, correct and request the deletion of personal information. You can see all yours data in our posses in the variuos sections of your account. To change the personal information you have provided, log in and update your profile. During the order phase you can also change the shipping and billing addresses of the order you are running. You can also delete your account through the "Delete my account" function after logging in. Because of our legitimate interest, in case there are orders or purchases that have not been finalized (ie delivered) the deletion of data from the website is not possible until the contracts in place have reached the conclusion or within the terms of right of withdrawal. We may retain certain information as required by law or as necessary for the legitimate purposes of our company. We try to keep the number of emails we send you to a minimum and give you the opportunity to adhere to the marketing communications we send to our customers. We will send you an email regarding your transactions on Italianspeed.eu, order status and other information about your account. You can also choose to receive marketing communications via email, in accordance with your preferences, and from which you can waive at any time by changing the notification settings in your user account. We will also send you announcements related to the service when it is necessary to do so. Security in the processing of your personal data is very important to us. We follow industry standard practices to protect the data we collect and manage, including the use of Transport Layer Security (TLS) to encrypt information exchanged with us on the Internet. No method of transmission over the Internet or electronic storage is completely secure, so our Company can not guarantee its absolute security. Your account information is protected by a password, which you have to choose carefully and keep safe. Subject to applicable law, if you are a citizen or resident of the European Economic Area, you also have the right to object to Extremgnineering Srl's use of your personal information and lodge a complaint with your local data protection authority or the “Garante della privacy”. Persons under the age of 18 (or under the age of majority in your jurisdiction) can not use Italianspeed.eu and make purchases on their own. Our company e Italianspeed.eu do not knowingly collect any personal information from minors under the age of 18 and under 18 are not allowed to sign up for an account or use our Services. If you believe that a minor has provided us with personal informations, please contact us at [email protected] If we learn that a child under the age of 18 has provided us with personally identifiable information, we will delete it.